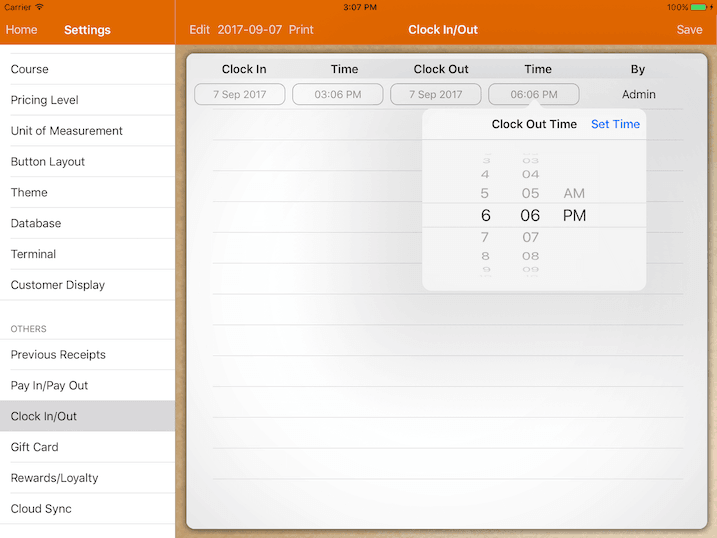 You can edit the clock in/out time and date when your employee clocks at the wrong time. then adjust the time accordingly here. Choose account to reprint their clock in/out records for the day.